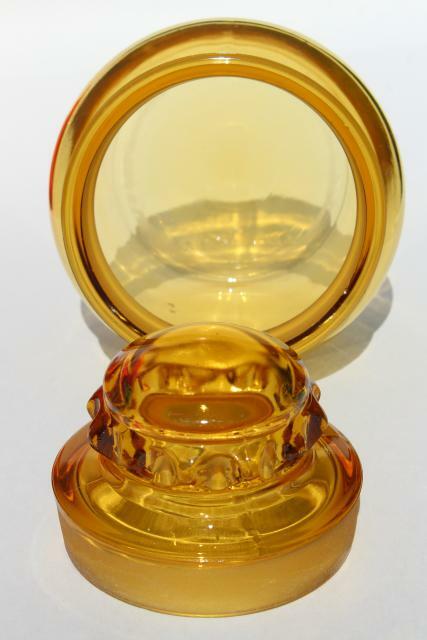 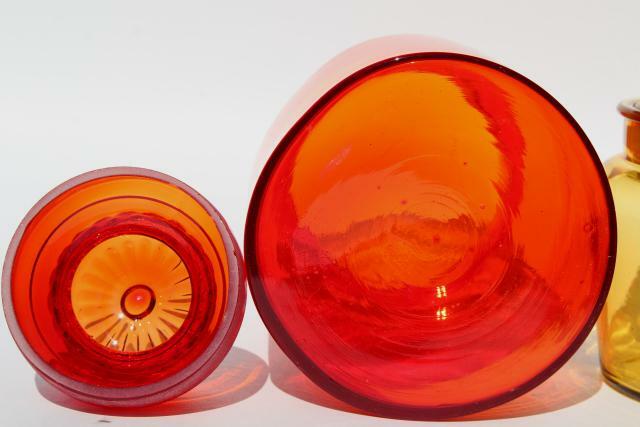 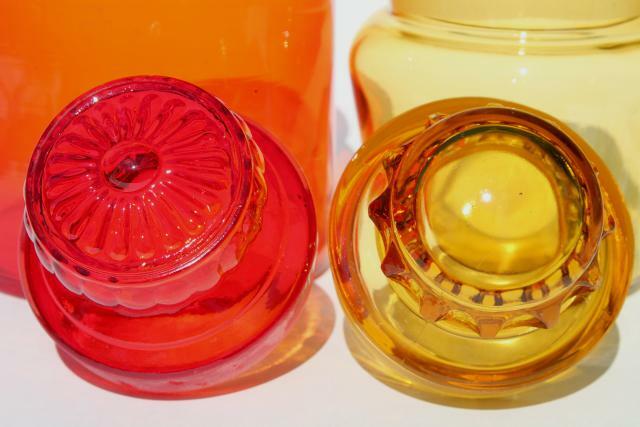 60s vintage glass canisters with ground glass stoppers, no plastic. 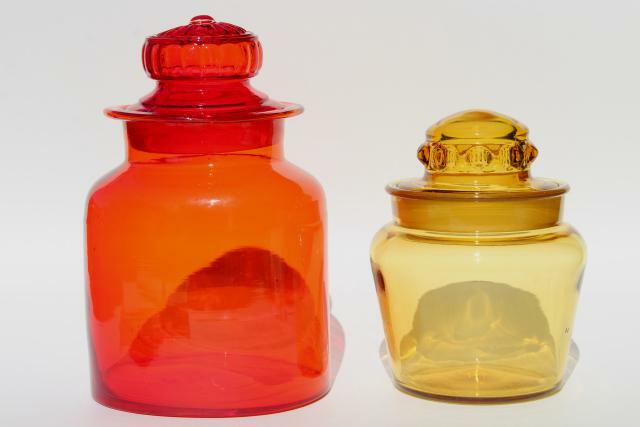 These are nice, like old time apothecary jars in bright mod colors! 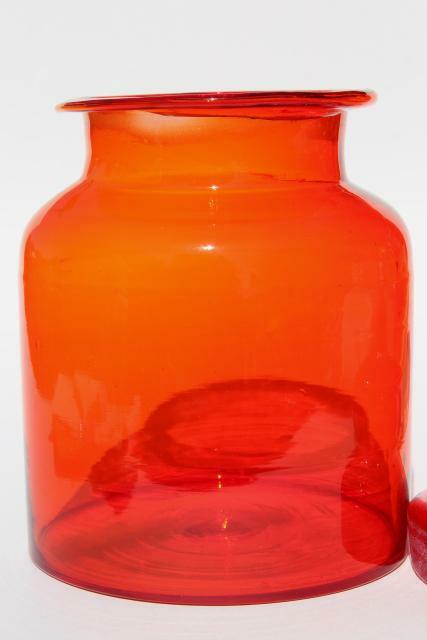 They're pretty even when empty. 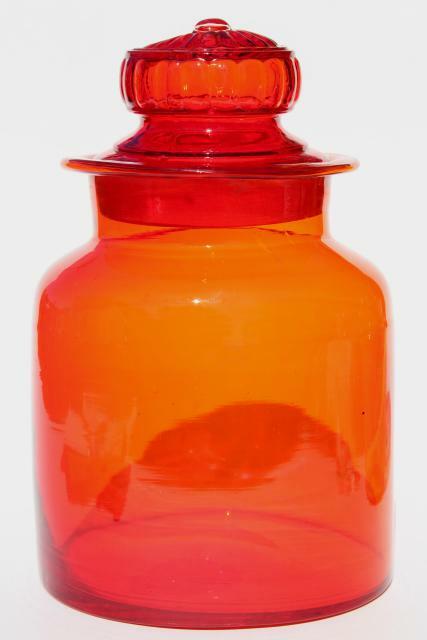 The red jar is about 10" tall overall (and about 5 1/2" in diameter). 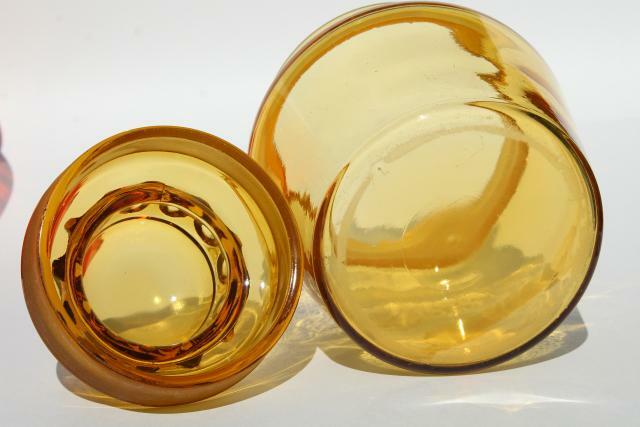 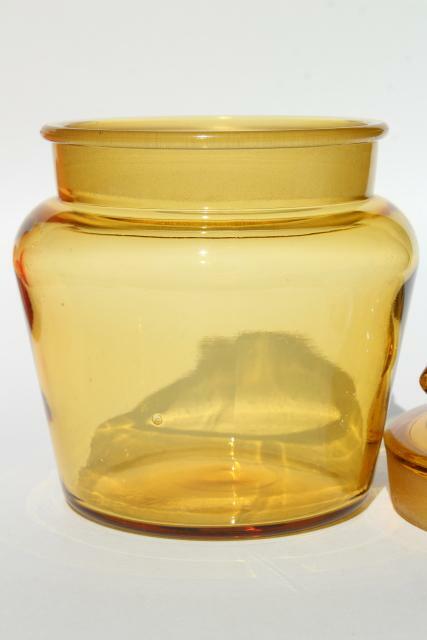 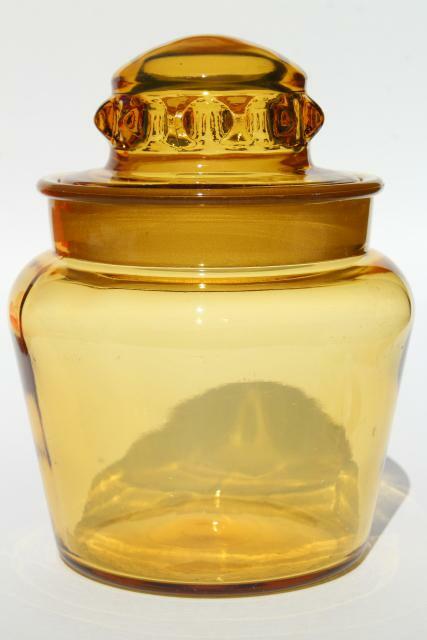 The amber gold jar is about 6 3/4" tall overall. 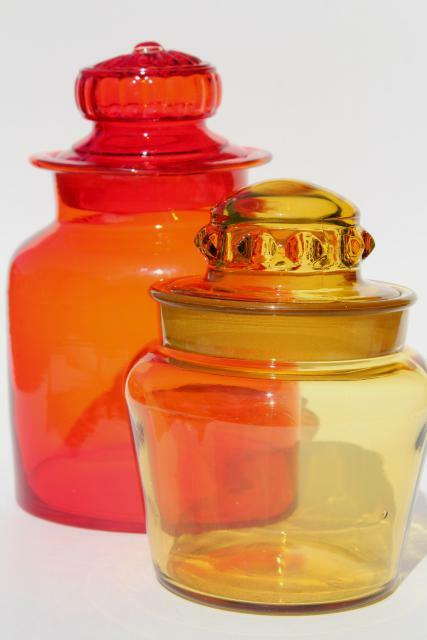 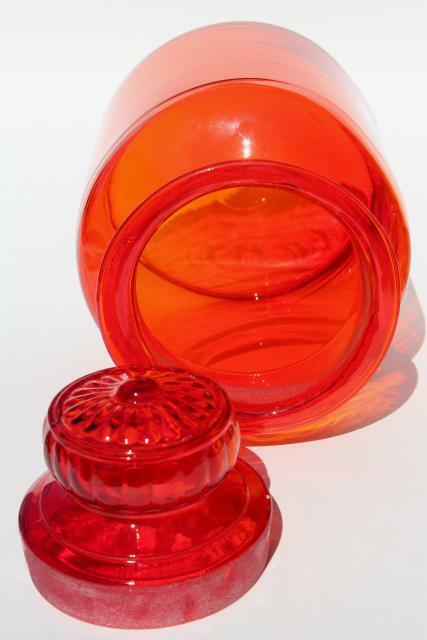 Both jars and their lids are in very good condition, clean and nice without chips or cracks.